Gardiner Street Parish is a Roman Catholic Parish in Dublin City Centre. Our church, St Francis Xavier's is a much loved place for parishioners and visitors alike. Best known for its devotional life in the heart of Dublin it is a home of faith and prayer 'for the greater glory of God'. Through the years hundreds of Jesuit priests and brothers giving their services gladly to the people. We thank God that our community continues in the light and hope offered by friendship with Jesus Christ. The vibrancy of our parish life flows from the centrality of the Eucharist. The uniqueness of each person and they gifts they offer is valued and we encourage active involvement by parishioners. The Society of Jesus was founded in 1540 by St. Ignatius Loyola and since then has grown from the original seven to 24, 400 members today who work out of 1,825 houses in 112 countries. In the intervening 455 years many Jesuits became renowned for their sanctity (41 Saints and 285 Blesseds), for their scholarship in every conceivable field, for their explorations and discoveries, but especially for their schools. The Society is governed by General Congregations, the supreme legislative authority which meets occasionally. The present Superior General is Father Adolfo Nicolás. 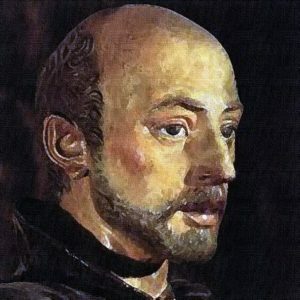 Ignatius Loyola was a Spanish Basque soldier who underwent an extraordinary conversion while recuperating from a leg broken by a cannon ball in battle. He wrote down his experiences which he called his Spiritual Exercises and later he founded the Society of Jesus with the approval of Pope Paul III in 1540.